Precision engineered, ruggedly constructed and available in a range of single and three phase models suitable for many hoisting and pulling operations. High performance with low maintenance and adjustment free brakes. 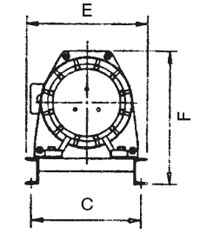 Brakes designed for both static and dynamic loading automatically apply in the event of power loss. 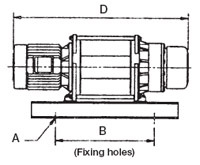 Compact load sharing design of the heat treated planetary gear ensures quiet operation and long life. Low voltage (24v) push button control supplied as standard on three phase models. Capacities: 1,134kg to 4,082kg line pull. These utility winches are ideal for a wide variety of operations such as launching boats, 4WD off-road use, on emergency vehicles and for general farm applications. 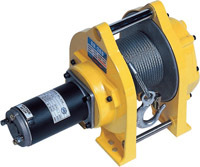 DC Winches are ideal for installation on small trucks and utilities to eliminate the need for manual lifting.